← is golden gate park an urban forest?! 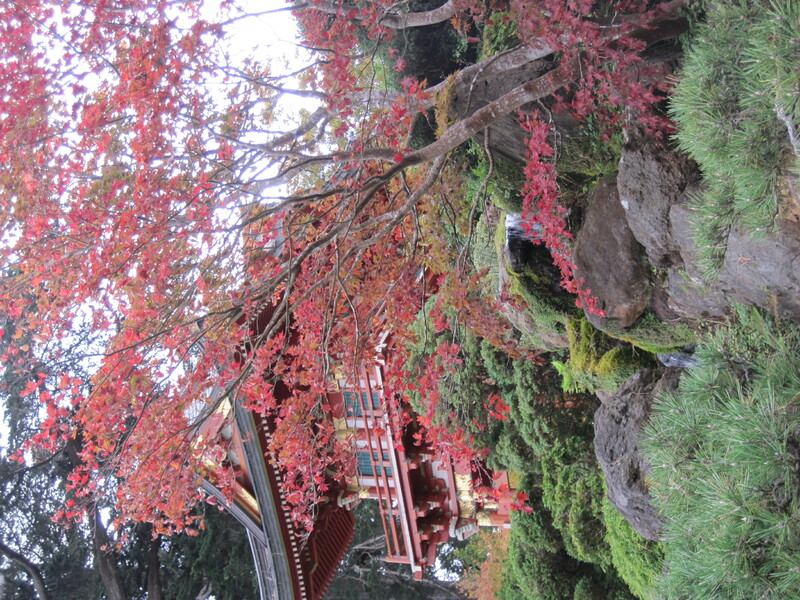 The Japanese Tea Garden is now a study in fall color. 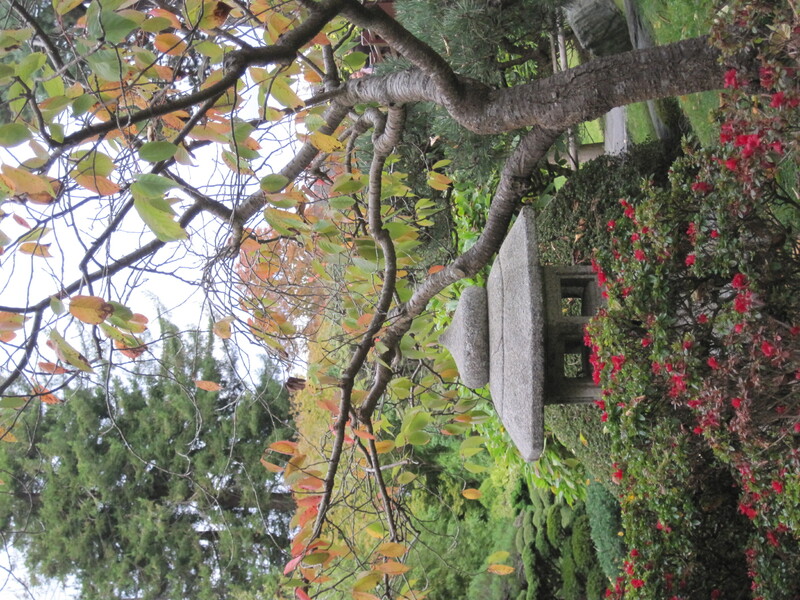 Like the first layer of watercolor wash applied with a brush to paper, the saturation is variable throughout the garden now, with a spot or two of brilliant red, some more muted orange and yellow, yellow-green at the tips of still dark green branches. Wandering along the intricate paths, I thought about how this process of leaves turning in the fall, like the process of leafing out in the spring, is a key to the complex microclimates in the garden, as well as the genetic characteristics of the various plants. Both affect fall color. Some maples are leading because they are genetically programmed to be first; others because they are in a corner of the garden where the colder night air settles, so they experience the proverbial “cold snap” earlier than their neighbors. Japanese maples have been genetically engineered to favor aesthetic characteristics, such as fall color. And the display in this Tea Garden is a gorgeous illustration of the success of that project. The cherries seem to all be ahead of the curve, with only sparse, salmon-colored leaves clinging to lichen-coated branches now, the tree skeletons revealed like in a japanese brush painting, jagged and twisting. Sitting on the terrace of the Tea House, sipping Jasmine Tea, I was mesmerized by the gorgeous scene before me. It really is a living work of art, so skillfully composed and executed, beautiful from far away and close up and from every angle. Gray, bush-tailed squirrels were chasing each other around the tree trunks and up to the ledge of the ticket booth, begging for tidbits. And a black phoebe hopped around on the stones at the water’s edge, tail bobbing up and down, searching for flying food. 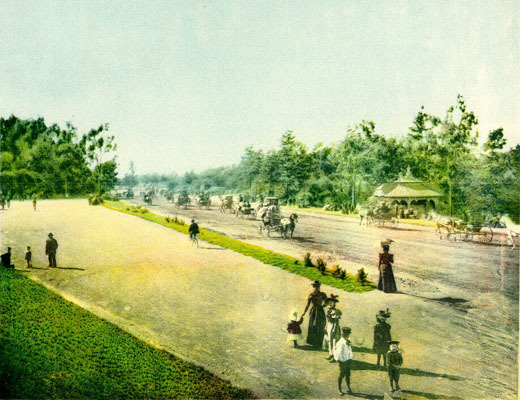 This made me wonder about the habitat value of this picture-perfect garden. With every plant shaped into a pleasing form, every fallen leaf part of the composition . . . what flying insects are there for the black phoebe to catch and eat? Where is her nest? Is she resident or just passing through? On my way out, I glimpsed a large bird across the water, partially concealed by overhanging foliage. Turned out to be a sculpture, not a live bird. A crane, I think? A lovely work of art, but a bit disappointing. I would have been so excited if it had been a live Sandhill Crane, in residence for the winter! 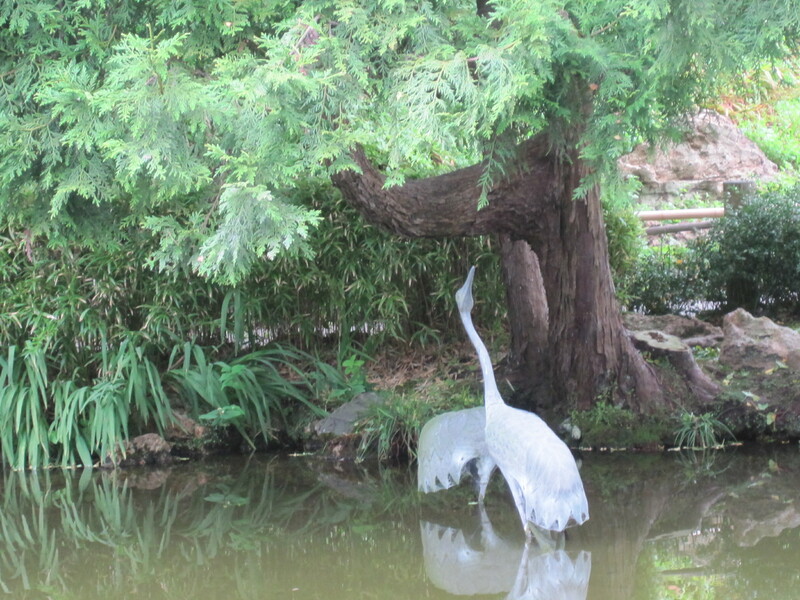 Or even a Blue Heron (a more common sight in Golden Gate Park, but always thrilling)! But still, it was lovely to see this large, graceful bird in the picture. This entry was posted in fall foliage, trees/urban forest, wildlife. Bookmark the permalink.